The St Louis real estate market has done well this year and, as I’ve reported over the past several months, we have seen increases in sales activity as well as home prices in the St Louis area. 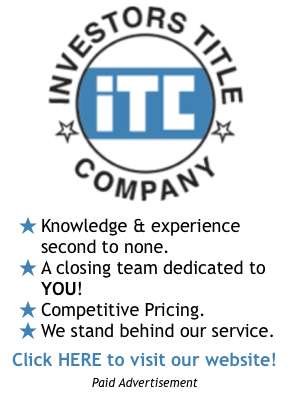 However, as is often said, real estate is very local! 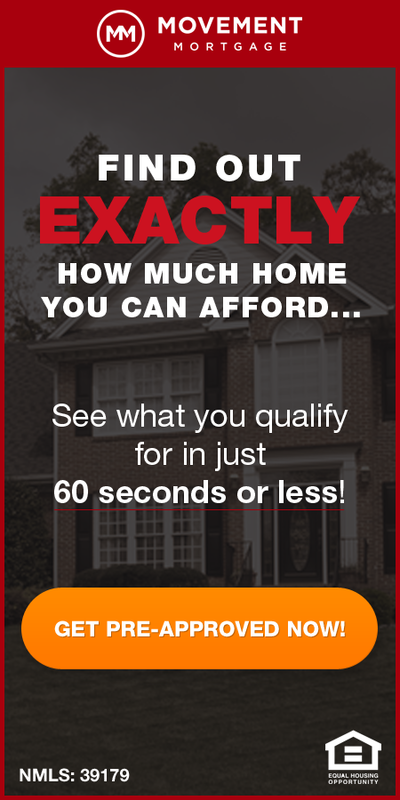 So, even though the St Louis housing market has been in a seller’s market for the bulk of this year, there are still areas and price ranges within areas where we find buyers markets. You cannot judge the health of a real estate market with just one piece of data, however, a good indicator of a potential buyers market would be areas with a high supply of homes for supply. Note that I said supply and not number. This is important, as some areas, such as Chesterfield for example, may have what seems like a large number of homes for sale, but given the size of the market and number of sales, it could still well be a seller’s market. The supply of homes for sale on the other hand, takes into account the number of active listings as well as the rate of home sales and then determines how many months it would take to “sell out” of homes on the market if no new listings came on the market. A supply of around 4 -5 months has historically been pretty typical. 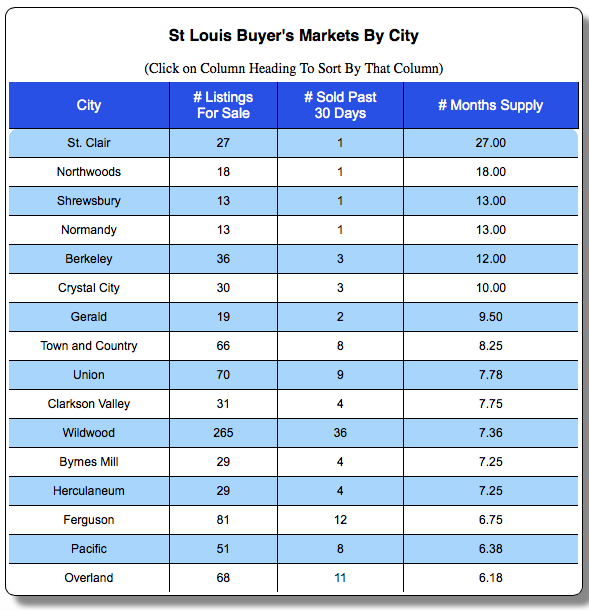 The list below, which is from our real-time data that you won’t find anywhere else and is always up to date, shows the cities within St Louis with the highest supply of homes for sale based upon the current sales rate thus indicating a slow market with too much supply and very possible some good buying opportunities.